I never need an excuse to indulge in chocolate but I am happy to blame Easter for my gluttony this time. Last weekend I was in London for two days to meet up with a friend and attend the London Chocolate Festival. I am not in denial; I am indeed a chocoholic. Once I was only into milk and white but I have expanded my world to include dark. Even though I love the stuff, I am selective for casual bars, I only eat Toblerone or Bounty (best if cold) and I have never had bad Swiss or Belgium chocolate. Although the chocolate festival has a lot of potential, still not yet achieved 4 years down the line, the highlight for me was Paul Wayne Gregory. 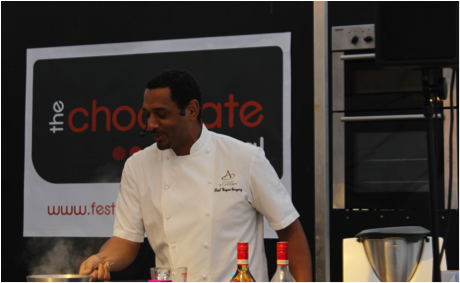 I attended his demo where the audience tasted chocolates from his ‘Pure Indulgence’ collection, to include coconut and raspberry. 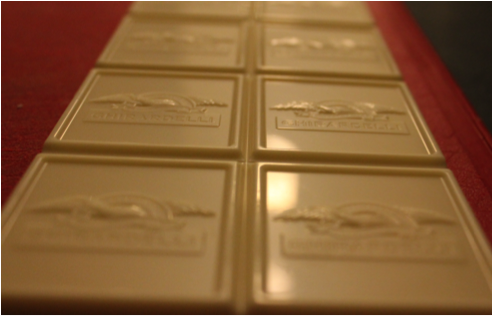 Each of the twelve chocolates has won numerous awards and my taste buds could tell you why. The interactive demo and the rich flavours even made me stop thinking about the chilling wind for the moment. 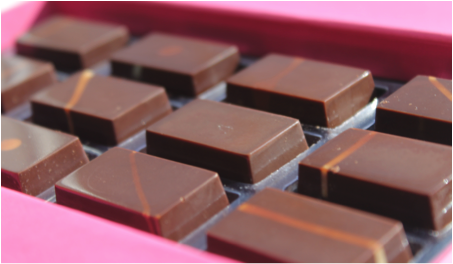 There is justification for Paul being commissioned to do the chocolates for the Queen’s 80thbirthday and you should discover it for yourself at http://www.paulwaynegregory.com. Chocolate is perfect for any occasion. My advice is that you should only eat the yummy kind that uses fine ingredients and great techniques to take you on an experience; this way it will always be worth the calories. Best of all, chocolate is great for sharing with that special someone, chemically chocolate can have euphoric effects especially during you-know-what. 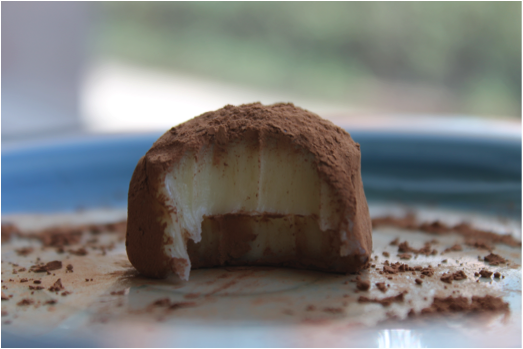 Below is a quick recipe for my surprise truffles. Be creative and indulge! Now I must confess, the second time I made this recipe, the chocolate ganache (chocolate mixture) did not set, I wished I could just put it in the freezer and it would all be ok. But freezing chocolate is NOT the answer. I firmly believe in “everything happens for a reason” and this is a fine example. I put the mixture in the microwave for 30 seconds, then put it back in a saucepan and added ½ tsp of vanilla and ½ teaspoon of Amaretto and a handful of more white chocolate. The added flavours were super yummy and my arms got a lil’ extra workout from stirring. I had to refrigerate the mixture again but all in all, it was a win win situation. So relax and make someone happy with deliciousness. Bring cream to simmer in a small saucepan. Add butter to melt and then add chocolate. When smooth pour into a bowl and refrigerate for at least 2 hours. 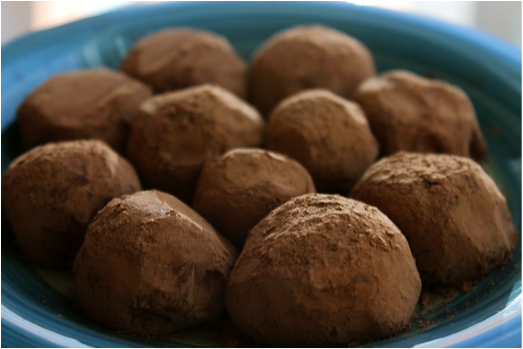 Roll mixture into balls and then roll the balls in the cocoa powder. TIPS: Roll the balls quickly as chocolate will melt in your hand. I put cocoa powder in a tablespoon measuring spoon to help scoop out the chocolate easily. Sprinkle with a little sea salt when finished. 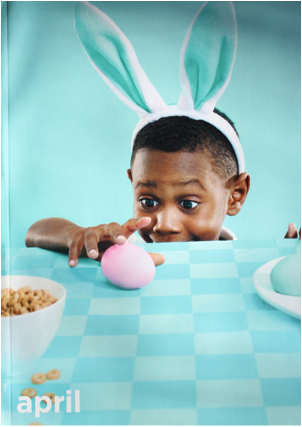 It’s April in April; live, love & eat!